Hi there! Welcome to another CASEing the Catty Sunday Night Blog Hop. This round we are CASEing (copying and selectively editing) something that takes our interest from the Sale-A-Bration Catalogue. My downline, De Arn, lent me this SAB set, Sky is the Limit and lots of other new sets and dies for a week over the summer break; so I made the most of the opportunity and whipped up quite a few cards in that time. I will return the favour very soon as I'm now a busy bee back at work for the start of a new school year. For my card I CASED the layout on page 18 (Hello card with Butterflies) and used the colour combo on page 16 - Bermuda Bay, Calypso Coral and Black. Thanks so much for hopping by and supporting the CTC Blog Hop! Up next is Tricia Raineri from The Speckled Sparrow ... She has a very cool card fold to share. ... Or back to Jessica Williams from The Paper Caper. Way cute Bron, love the colour combination and the detail, the gold button is perfect too. Your masculine card might be flat but that plane certainly pops against the Bermuda Bay. It's a real winner & perfect for a quick male card. Very sweet, especially the coloured heart. 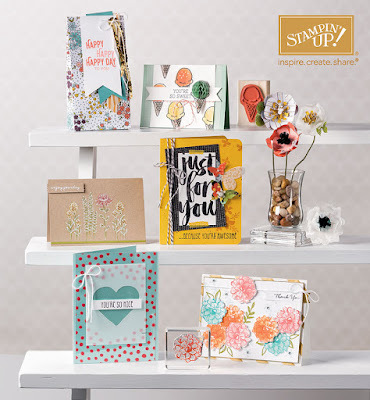 I love that the inspiration comes from the hello card!!! Great idea, and the bemuda bay background is awesome!! 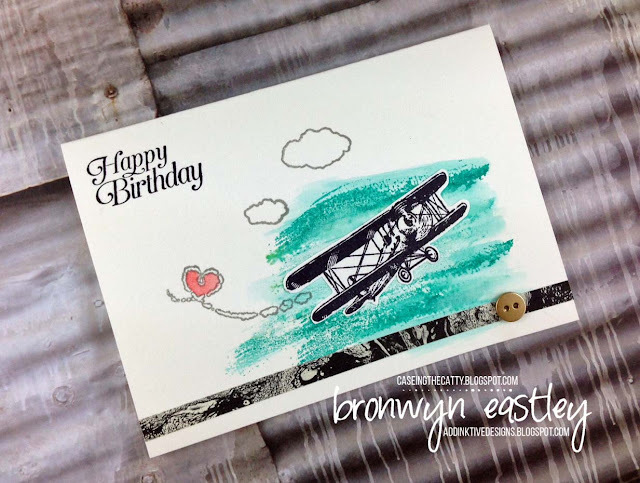 Love this card, Bronwyn. The pop of Bermuda Bay really makes it. What a great boy birthday card!! Love it! I love that we CASEd the same sample card but both are completely different. Your watercolour sky is fab! The wash technique was popular this week must try it out. This plane is set off really nicely on your card. The Colour Tree Challenges Start Tonight!